MOVE IN NOW!! **Greg Love Homes presents a modified Southern Living WILLOW GROVE plan** Enjoy over 4200 SF of quality! Modern accents with amazing southern charm. **Owner&apos;s Suite PLUS additional BEDROOM SUITE on MAIN level (split bedroom design)**Gorgeous STUDY with french doors + Formal Dining Room + Family Room with coffered ceiling and fireplace. **AWESOME Chef&apos;s kitchen with large island and PLENTIFUL cabinets and storage space** Upstairs there are 3 LARGE bedrooms + 2 full baths PLUS a BONUS room and HUGE ATTIC SPACE, perfect for your STORAGE needs. 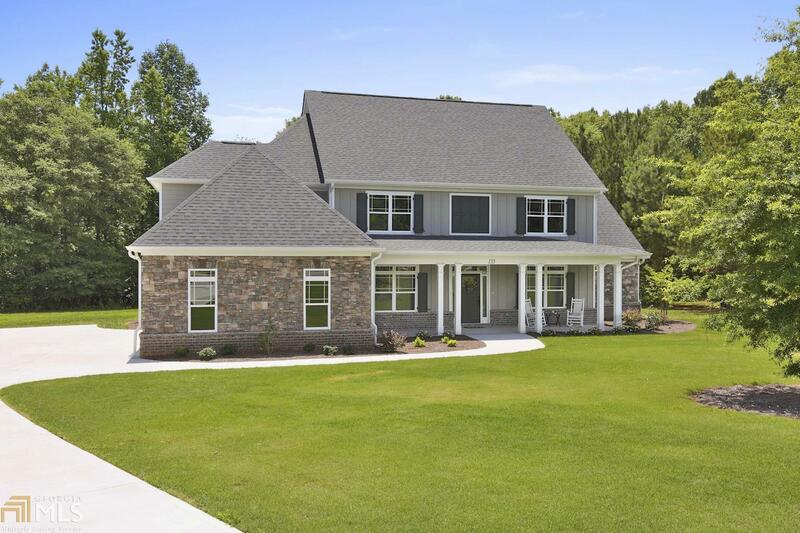 **Custom touches include shiplap accent walls and hall tree** Front porch+rear screened porch+grilling patio+3 car garage+cul de sac lot+irrigation system. Use Showing Time button to schedule appt. Directions: Hwy 85 To McBride Rd. Follow To Bellfair Walk Preserve On Right. Turn Left Onto Board Meadows Ln. Home In Cul De Sac.